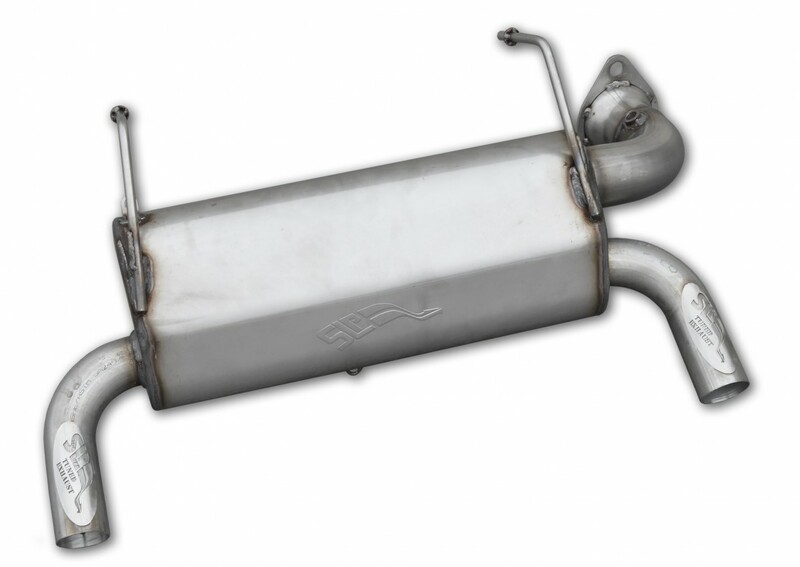 This slip-on muffler for the 2015-17 Polaris RZR XP 1000 has a higher flow rate compared to the stock muffler. This translates into a substantial performance increase and better throttle response. Its stainless steel construction provides excellent strength and durability. 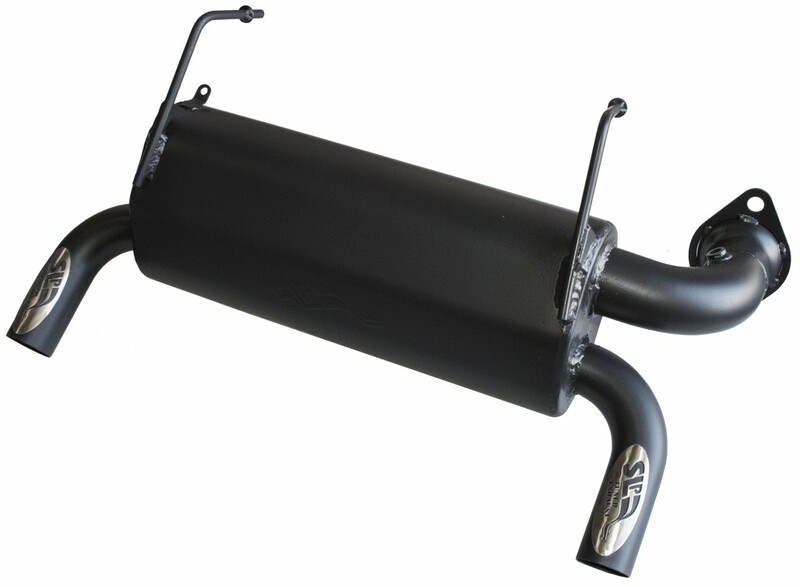 This slip-on muffler for the 2015-17 Polaris RZR XP 1000 has a higher flow rate compared to the stock muffler. This translates into a substantial performance increase and better throttle response. Its stainless steel construction provides excellent strength and durability. The sound level measures 95.5 DB (@ 4200 RPM) using the SAE J1287 sound test. It also features spark arrestors that can be added. This product is legal for closed-course competition use only! Available in raw stainless or black ceramic.